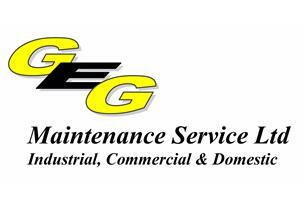 GEG Maintenance Services Ltd - Electrician, Home Improvements based in Sutton Coldfield, West Midlands. GEG maintenance Services Ltd are a West Midlands based Industrial, Commercial and Domestic Electrical and General Maintenance company. We are a fully approved NICEIC (including Part P) registered contractor. As a company we pride ourselves on providing a professional service with competitive prices. All aspects of Domestic Works including Landlord Certification, Fault Finding, Installation Works, Upgrade Works, Fuse Board Installations, Showers, Sockets and Lights. We endeavour to build lasting partnerships with our customers, through understanding business needs and providing the solutions you need, quickly and effectively in order to allow your business to continue operating with minimal disruption. Our clients range across all industries and all sizes from individual residential customers, small local business' to large established firms. We provide free quotations and advice within our services. Bedworth, Birmingham, Nuneaton, Solihull, Sutton Coldfield, West Midlands Area.